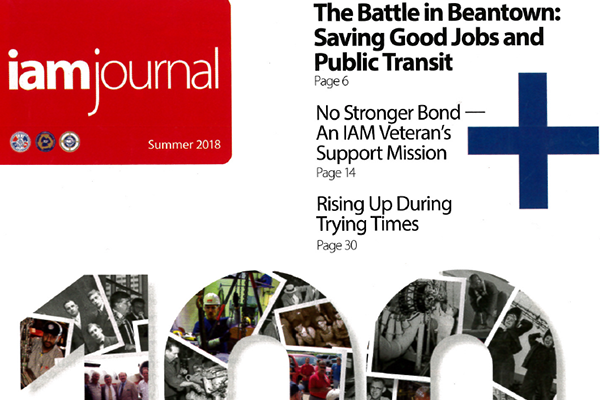 The Summer 2018 edition of the IAM Journal is online and will be at the doorstep of IAM members soon if it isn’t already. This issue includes a celebration of the Machinists Union 130th anniversary, as well as stories of our members. Learn how a Boston area local lodge worked with the community and elected officials to prevent the privatization of their jobs. See how a Texas IAM member and U.S. Army veteran honors fallen heroes and fellow veterans. There’s plenty more good reading for you and your entire family.